For other people with the same name, see Raymond Wilkins. Raymond Colin "Ray" Wilkins MBE (born 14 September 1956) is an English former footballer. Since his playing career ended he has worked as a television pundit and as a football coach and manager with Queens Park Rangers, Fulham, Chelsea and Jordan. He was most recently the assistant manager of Aston Villa. He was a key midfielder for the England national football team during the 1980s, and enjoyed success at various clubs including Chelsea, Manchester United, Milan, Queens Park Rangers, and Rangers. The son of professional footballer George Wilkins; he has two sisters and three footballer brothers: Graham Wilkins (born 28 June 1955 in Hillingdon), a former professional, who played in the Football League as a full-back for Chelsea, Brentford, and Southend United; former Brighton & Hove Albion manager and player, Dean Wilkins; and Stephen Wilkins, who was signed by Chelsea and later made one appearance for Brentford, before playing for a number of non-League teams, including Dagenham and Hayes. Born in Hillingdon, Middlesex, Wilkins started his career with Senrab in Wanstead Flats. Wilkins, nicknamed Butch from childhood, made his name in the 1970s with boyhood club Chelsea, whom he joined as an apprentice, progressing to his first team debut against Norwich City at the age of 17 on 26 October 1973 as a substitute in a 3–0 home league win. His brothers Graham and Stephen also joined Chelsea around this time, though they did not achieve the same heights in the game as Ray. Wilkins made sporadic further appearances for the rest of that season before establishing himself as a fixture in the side the following year, although he was unable to save Chelsea from relegation that season. In 1975, following the club's relegation and the departure of many established players, an 18-year-old Wilkins was handed the captaincy of Chelsea by new manager Eddie McCreadie, taking it from long-time Blues captain John Hollins. He took to the role well, maintaining it for four years. He emerged as Chelsea's key player of that period, leading a team of mainly young players to promotion again in 1976–77 and, in the next season, consolidation of their place in the First Division. Ray's rapid success, along with his "dark good looks", also saw Wilkins becoming a regular pin-up feature in British teenybopper magazines. The sudden departure of manager Eddie McCreadie proved to be a blow to Chelsea's performance, and they were relegated in 1978–79. Shortly afterwards debt-ridden Chelsea accepted an offer of £800,000 from Manchester United and Wilkins headed north. Ray Wilkins' first season with Manchester United was uneventful, with domestic honours continuing to elude him. He scored his first goal for United in a 4–0 victory against Stoke City in 1979. In 1983 he scored in the FA Cup final, to put Manchester United 2–1 up against Brighton and Hove Albion. The game ended 2–2 after extra-time. Wilkins got his winners' medal after United won the replay 4–0. A year after collecting an FA Cup winner's medal, United accepted an offer of £1.5 million from Italian giants Milan. Wilkins and his family settled quickly in Italy and Milan reached the final of the Coppa Italia in 1985, but it wasn't a successful era for the Italian club. Wilkins left A.C. Milan in 1987 to join French outfit Paris Saint-Germain, with whom he stayed for only four months. On leaving Paris, Wilkins joined Rangers for a transfer fee of £250,000. During his time with Rangers he won the Scottish league title in 1989 and the Scottish League Cup. He also scored a memorable goal in an Old Firm derby against Celtic. Such was his enjoyment of his time at Rangers, and the fans' love for him, Wilkins was reduced to tears after his final game with the club. Next stop for Wilkins was London, when he joined Queens Park Rangers, after his family decided that a decade away from home was long enough. Wilkins spent four years with QPR. In the early 1990s, there was media speculation that he would rejoin Manchester United (now managed by Alex Ferguson), but this never happened. He remained at Loftus Road until the summer of 1994. In 1994, Wilkins accepted an offer to become player-coach of London club Crystal Palace, who had been promoted to the Premier League under manager Alan Smith. However, Ray broke his left foot on his debut for the club, and did not play a competitive game for them again. On recovery from the injury, he accepted an offer from QPR to become their new player-manager after Gerry Francis left in November 1994. His appearances during his spell as player-manager of QPR were less frequent. In his first season they did reasonably well, finishing eighth in the Premier League and reaching the FA Cup quarter-finals. But leading goalscorer Les Ferdinand was sold to Newcastle United in the 1995 close season and Wilkins failed to find a suitable successor. A shortage of goals cost QPR their Premier League status and they were relegated in second from bottom place (19th) at the end of 1995–96. Wilkins left QPR at the start of the 1996–97 season after the club was bought by media tycoon Chris Wright following the relegation from the FA Premier League. Wilkins was called up to play for England for the first time in 1976 by coach Don Revie and quickly made his debut against Italy during a mini-tournament in the U.S.. He was to become a permanent fixture in England squads for a decade to come. He achieved one of his career highs after helping England qualify for the 1980 European Championships in Italy – the first tournament England had reached for a decade. During a group game against Belgium, Wilkins scored a memorable goal when he lobbed the whole Belgian defence and, in one movement, latched on to the ball (thereby breaching the Belgians' obvious offside trap) and delivered a second lob, this time over the head of the goalkeeper and into the net to put England ahead. The Belgians swiftly equalised and a disappointing England failed to make progress from their group. Wilkins was a fixture in the England squad through a successful campaign to qualify for the 1982 World Cup in Spain, which England exited at the second group stage. Over the season 1983/84, Wilkins continued to play for England under new coach Bobby Robson but the team failed to qualify for the 1984 European Championships. Despite moving to Italy, to join A.C. Milan, Wilkins remained an England regular and he was chosen for the squad which qualified for the 1986 World Cup in Mexico. He played in the opening defeat against Portugal but didn't last the full 90 minutes in the next group game against Morocco, after receiving a red card for the first and only time in his career, which made him the first England player to be sent off in a World Cup finals game. In disagreeing with a decision made by the Paraguayan referee Gabriel González, Wilkins threw the ball towards the direction of the official and "unintentionally" hit him with it. He was suspended for the next two games and was not reinstated by the time the quarter final against Argentina came round, a game which England lost 2–1. Wilkins made his 84th and final England appearance in November 1986. He had scored three international goals and had been captain on ten occasions. After QPR, there followed spells at Wycombe Wanderers, Hibernian, Millwall, and Leyton Orient before he finally retired from playing at the end of the 1996–97 season. In 1997, Wilkins became the manager of Fulham, with former England teammate Kevin Keegan as "Chief Operating Officer" above him. Wilkins managed to take the big-spending side to the Second Division play-offs, but was sacked by chairman Mohamed Al-Fayed before the first game took place after Fulham lost the last three games of the regular season. Kevin Keegan, who replaced Wilkins, failed in his bid to guide the side through the play-offs that season. The two, once close England team-mates, have had frosty relations since. After leaving Fulham, Wilkins worked as a coach at Chelsea and Watford under Gianluca Vialli, on both occasions being sacked along with Vialli (in September 2000 and July 2002 respectively). He spent the next year working mainly as a pundit before joining Millwall as assistant manager to Dennis Wise in October 2003. Wilkins left the club along with Wise in May 2005, but returned in a consultancy role from March to October 2006. From 2004 on Wilkins was assistant coach to Peter Taylor with the England under 21's until Peter left in early 2007. Wilkins was not retained by incoming head coach Stuart Pearce. 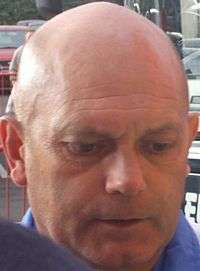 In September 2008, Ray Wilkins was appointed assistant first team coach to Luiz Felipe Scolari at Chelsea, following Steve Clarke's departure to West Ham United. In February 2009, following Scolari's shock sacking, Wilkins was appointed as Chelsea's caretaker manager for the Fifth round FA Cup tie with Watford. Chelsea won the game 3–1, through a Nicolas Anelka hat trick, with the club's new manager Guus Hiddink watching from the stands. When Carlo Ancelotti took over as Chelsea manager, on 1 July 2009, Wilkins was appointed assistant manager. Chelsea won the Community Shield two months after the new management took over and went on to win both the 2009/10 Premier League title and the F.A. Cup, securing the double, the first in the club's history. On 11 November 2010, it was announced that Wilkins' contract with Chelsea "would not be renewed" and that he was to leave the club "with immediate effect". On 1 December 2010, Wilkins reached what he described as a "harmonious conclusion" with Chelsea following his unexpected departure from Stamford Bridge. While appearing as a guest on Sky Sports Champions League coverage on 7 December 2010, Wilkins claimed that Chelsea still have not given him a reason for his sacking. Chelsea manager Carlo Ancelotti, who was to be sacked in turn at the end of the 2010–2011 season, wrote about Wilkins, in his autobiographical book The Beautiful Games of an Ordinary Genius: "Ray is one of those select few, always present, noble in spirit, a real blue-blood, Chelsea flows in his veins ... without him we wouldn't have won a thing." On 30 December 2013, Wilkins was appointed assistant head coach of Fulham. He was sacked from Fulham on 17 February 2014 as part of a new management regime. On 3 September 2014, Wilkins was appointed as the new head coach of Jordan. He led Jordan at the 2015 AFC Asian Cup, where they eliminated in group-stages for the first time after two losses against Iraq and Japan and a win over Palestine. On 25 June 2015, Aston Villa manager Tim Sherwood appointed Wilkins as his assistant manager. On 26 October 2015, Wilkins was sacked along with Tim Sherwood and the rest of the coaching team. Wilkins appeared as a commentator for Sky Sports, particularly on their Champions League coverage. Since the departure of Andy Gray from the broadcaster in January 2011, he has also been given the role of co-commentator on a number of high-profile Premier League and Champions League matches. Wilkins is Director of Football for myskillz, a football skills website for children. In 2015, He appeared in Spencer FC's Wembley Cup, where he coached Sidemen United to a 5–2 loss against Spencer FC. In 2012 he was charged with drunk driving after being stopped by police returning home from a youth player awards ceremony in Bournemouth. Despite "claims that the breath tests results were unreliable" he was convicted. In March 2013, whilst on bail for this offence, he was stopped and found to be "nearly four times" over the legal limit. In February 2014 he revealed that he is suffering from ulcerative colitis. In July 2016 Wilkins was given a four-year ban for drink driving. ↑ Matt Barlow (7 May 2010). "Ledley King just had an instinct that smacked of Bobby Moore | Mail Online". Daily Mail. London. Retrieved 27 August 2010. ↑ Wilkins, Ray (19 April 2011). "Ex-Senrab player Ray Wilkins: They were masters at honing technique". Daily Mail. London. Retrieved 3 February 2012. ↑ "Ray Wilkins at Sporting Heroes.net". Sporting Heroes. ↑ "Old boys' profiles". Chelsea F.C. ↑ "Scolari sacked as Chelsea manager". BBC Sport. 9 February 2009. Retrieved 14 February 2009. ↑ "No split at Chelsea, says Wilkins". BBC Sport. 13 February 2009. Retrieved 14 February 2009. ↑ Chowdhury, Saj (14 February 2009). "Watford 1–3 Chelsea". BBC Sport. Retrieved 14 February 2009. ↑ "Wilkins warns of Chelsea threat". BBC Sport. 14 February 2009. Retrieved 14 February 2009. ↑ "Ray Wilkins leaves Chelsea with immediate effect". The Guardian. 11 November 2010. ↑ "Felix Magath watches Fulham U21s with allies Hollerbach and Leuthard - Daily Mail Online". Mail Online. Retrieved 30 June 2015. ↑ "Jordan name Ray Wilkins as new national head coach". Mail Online. Retrieved 30 June 2015. ↑ "AFC - Asian Cup — Results, fixtures, tables, statistics - Futbol24". Retrieved 30 June 2015. ↑ "Wilkins joins backroom staff - Latest News - Aston Villa". Retrieved 30 June 2015. ↑ "our team". myskillz. Retrieved 13 December 2012. ↑ "Former England captain pulled over after 95 mile trip from children's award ceremony". Daily Mail. 9 May 2012. ↑ "Ray Wilkins guilty of drinking and driving". BBC News. 17 July 2013. ↑ "Ray Wilkins has Ulcerative Colitis". London: The Daily Telegraph. 19 February 2014. Retrieved 19 February 2014. ↑ "Four-year driving ban for alcoholic Ray Wilkins".